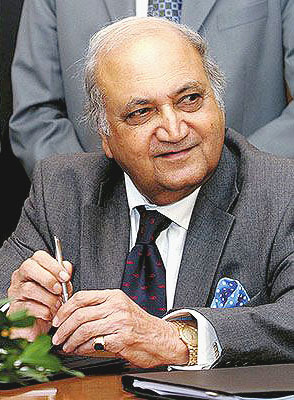 Mr. Keshub Mahindra, Chairman Emeritus- Mahindra & Mahindra Ltd. The Mahindra School is managed by a Governing Council consisting of members of the Mahindra Education Society. The School was primarily for the children of Mahindra & Mahindra employees. However, now other eligible students are also admitted. Today the School has a spacious three storeyed building surrounded by beautiful garden where over 1200 students both boys and girls come for learning. The Mahindra Education Society established in 1970, ushers in the new millennium by rejuvenating the Mahindra Academy. It imparts the right kind of education to their students and encourage them to develop a well- integrated personality. The Mahindra Academy constantly endeavours to imbibe the spirit of patriotism and national pride in the students.